You are here: Home / Entertainment / Can a born and bred townie who falls in love with a farmer learn to live with the realities of the farming life? After living in California for close to a decade, Maura McElone ‘unemigrated’ to Ireland. After a few disastrous experiences with online dating, she met and fell with love with Jack, a banker and part-time farmer. When Jack gives up banking to become a full-time farmer, Maura’s journey from a glamorous townie to a full-blown farmer’s girlfriend begins. Falling for a Farmer blends amusing anecdotes with thoughtful reflections and lessons in love, life and farming. From pulling calves and wrapping bales, to being ‘stood up for silage’ and receiving the phone call that every farmer’s loved ones dread, Maura McElhone’s memoir chronicles the often humorous, sometimes sobering experiences that ensue when town and country collide. A sort of Bridget Jones’s Diary meets All Creatures Great and Small, Falling for a Farmer is a modern-day, true life, love story. Maura and Jack are due to be married in October 2018. Maura McElhone is a content writer and columnist whose work has appeared in The Irish Times, the Irish Farmers Journal and RTÉ Radio 1’s CountryWide. Born and raised in Portstewart, County Derry, she studied in Scotland at undergraduate level and completed a Masters in Writing at the National University of Ireland, Galway. After six years living and working in the U.S., Maura ‘unemigrated’ in 2014, and returned home to Ireland. 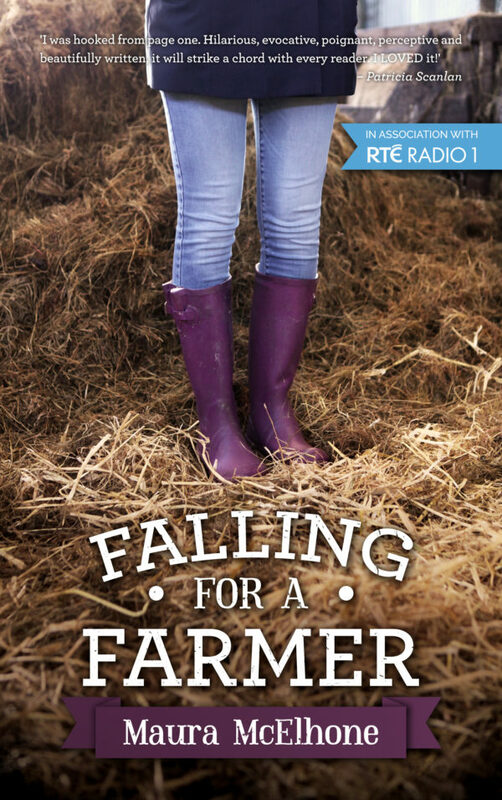 She now lives in Kildare with her fiancé, their relationship providing the inspiration for her popular blog, Falling for a Farmer. Maura is the 2017 recipient of the Cecil Day Lewis Literary Bursary for Emerging Writers from Kildare County Council.